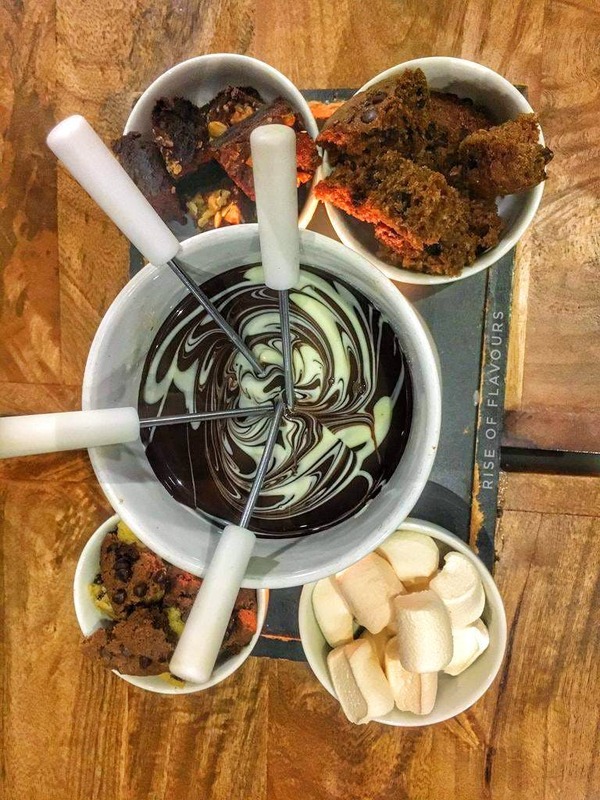 When craving for something chocolaty, the Chocolate Fondue from The Chocolate Room is the best option to have! This creamy and chocolaty goodness of milk chocolate is a must try. The fondue is served with marshmallows, brownies, cookies, muffins and many more dip-ables but you can choose up to four dip-ables at a time. Dip these dip-ables into the hot, melted chocolate and you will feel like in heaven! It's the perfect solution for your sweet tooth cravings. Also, it's very economical. The cost is INR 400 and is enough for 4 people. So, forget your old dessert destinations and head to The Chocolate Room for a mouthwatering chocolaty experience!